I made it through the weekend with NO PROBLEMS!! My weekend was great! 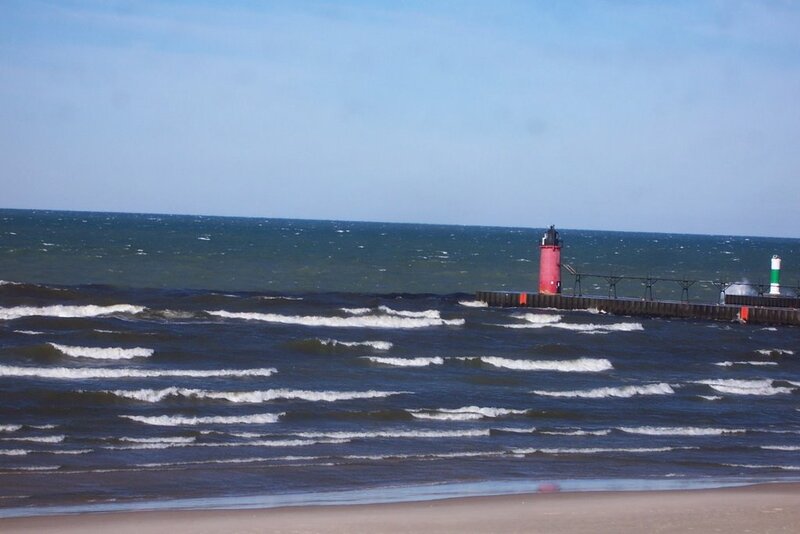 Went on a fanatastic get-a-way to South Haven, Michigan. My finger is causing some pain, mostly it is annoying. Eating, tying my shoes, putting my coat on, typing this blog......is a bit challenging. 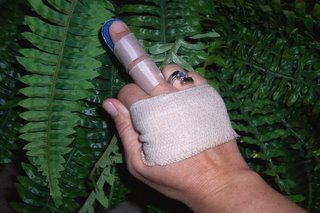 Not that I am complaining, it is only a broken finger. It is my middle finger, so I am having fun with it. Take some Motrin and enjoy showing people you have a broken middle finger. Hey, people are laughing with me about it (or are they laughing at me....I always get those confused). 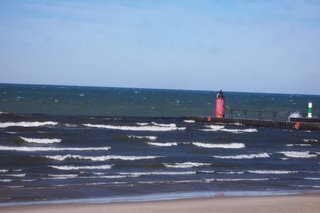 Well, surf's up in South Haven! When was the last time you made someone laugh? Did you ever just have one of those weeks where not a single day goes as planned? Sunday--My boys and I had a GREAT day. "Let's get in the car and see where we end up." We went to the Toledo Museum of Art for their "Creepy Creatures" Family fun day (every Tues, Thurs and Sunday--TAKE THE KIDS!! ), on to COSI (4 hours later--We had a blast! ), then to Tony Packo's for dinner. Finally home to baths, books and bed. Monday--Matthew (8yrs) not feeling great, breathing sounds horrible. Cancel all appointments for the day, take him to the doctor...5 hrs later--We are at Toledo Children's Hospital. He has pneumonia. Yeah, they have a bed for me in his room. Tuesday--All appointments cancelled (Wednesday's, too). Matthew is doing better, but we are not going home. Hospital staff is amazing. Love them all!! Wednesday--We end up not getting discharged until 5pm. I was beginning to think we were stuck there another day. Very happy to be home! Thursday--I am in the ER now! My finger which I injured 5 weeks ago is swollen, aching and red. It's broken. Hairline fracture. Lovely. 3 weeks in a splint. On the postive side: It is my right middle finger (I'll have fun with it). So how do you handle a cursed week? What a fun day today!! I helped an older woman, "Cathy", sort out some of her papers and boxes she has accumulated in her lifetime. Our goal was to make space in her living area to invite friends to her home. I did not get a before shot because she was so excited to get started, I just forgot. 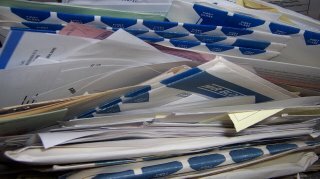 There were boxes and papers all over her sofa, as they were two weeks ago at the inital consult. I installed some shelving in a client's basement storage area this week. The great thing about it was the opportunity to buy a new toy.....well, tool. Not just any tool. A HAMMER DRILL !!! This may not be too exciting to most, but I am a rocket scientist/auto design engineer and I love stuff like this. This beast is a serious tool. I have a drill that I could have used, however I thought it would be best to get the appropriate tool for the job. 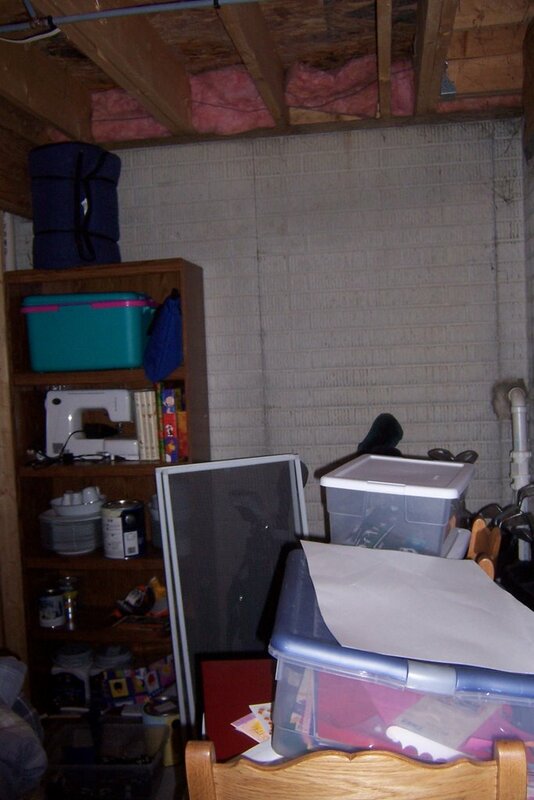 The before picture shows the storage area without any shelving. 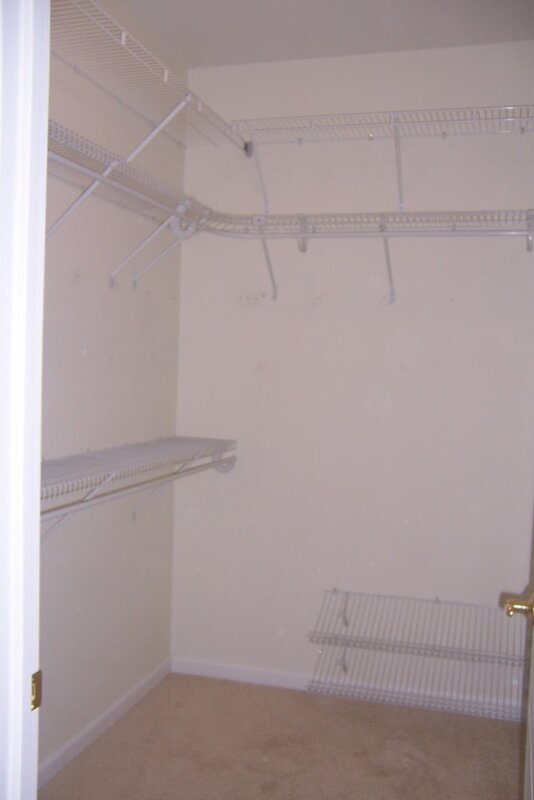 My client had the room cleared out before I showed up (thank you), then I went to work installing the shelving. The after picture shows the completed installation, ready for the "stuff" to find a home on the shelves. My new toy made the installation a breeze. What new "Toy" have you purchased recently for your business? A late night internet searching (I don't know what or where), I came across an audio file that has me working on myself this week. I must have listened to this recording a 6-7 times so far. Earl Nightingale's The Strangest Secret. On December 7, 1941, Earl was at Pearl Harbor. Earl was one of only a hundred who survived. 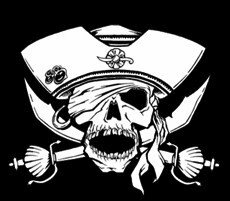 He was literally blown off the ship, unconscious, and another sailor pulled him to safety. Earl said that he felt that he had been spared for some reason. After the war Earl became obsessed with why everyone in his neighborhood was poor and confused. He wondered why one person was able to create wealth and happiness for his family, while another with a similar background stayed ignorant and penniless. 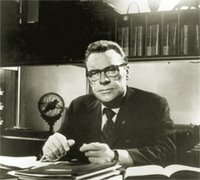 Answering these questions became Earl’s life work. In 1956, he was about to take a trip but wanted to leave a message for his sales force. He got up in the middle of the night inspired to write a message that he recorded the next morning. That message became one of the most important and famous motivational recordings ever made. It is the only gold record ever achieved for the spoken word. Back to my personal project: I am not quite ready to do the 30-day trial that Mr. Nightingale speaks of in his message. I need to sort out my goals. This will happen. I wish more people would listen to this recording. My boys, 8 and nearly 6 years old, have listened to this in the car with me. They were not thrilled about it at first and I thought they were ignoring it after awhile. At the end, when we got out of the car to go into Target. Jacob, my youngest, states "Mom I am going to be GREAT!" Matthew, the older, says "Yeah, well I am going to think about good stuff." Kids are powerful! By the end of this week, I will have my goals in place. 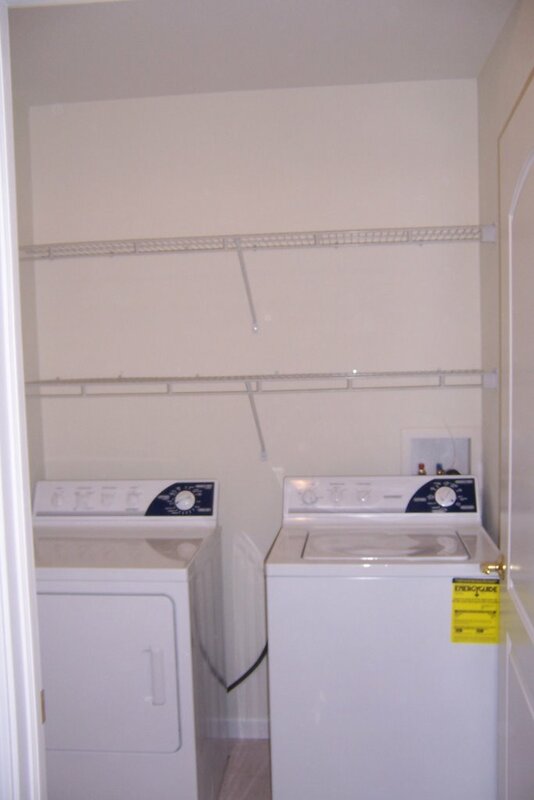 I had a BIG project this week--2 Closets, a laundry room and garage. 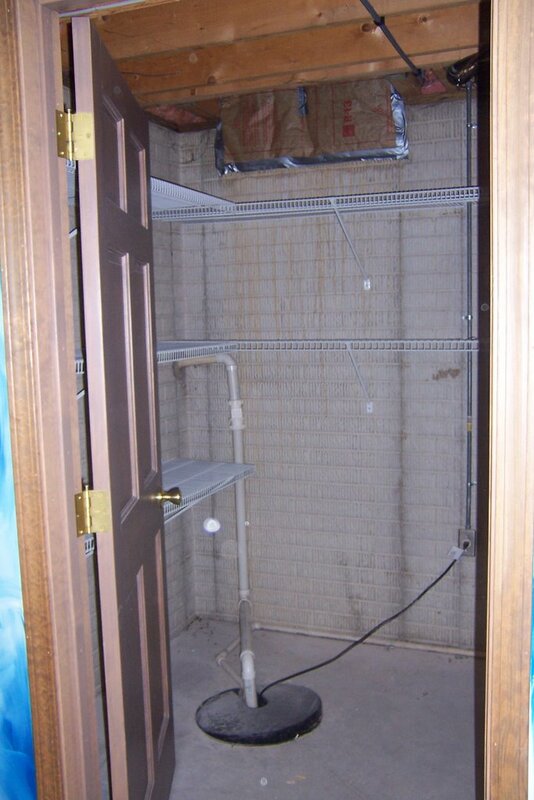 My clients are moving into a new home and wanted to update the existing storage spaces to make them more useful. I came and listened to their needs, put some plans together and completed the project in one day. 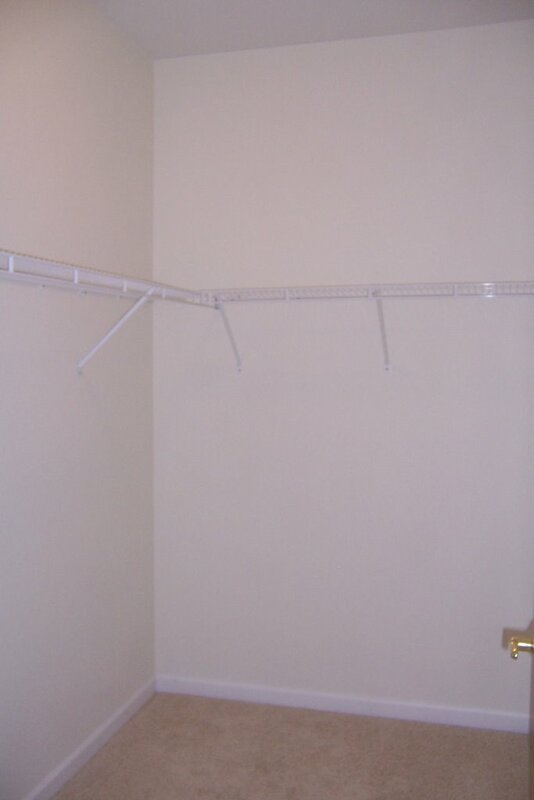 This first picture is the before view of the master closet--minimal use of the room with only one shelving unit. The after shows raising the height of the current shelves, adding 19 feet of shelving and two shoe racks! What a difference in use of space!!! 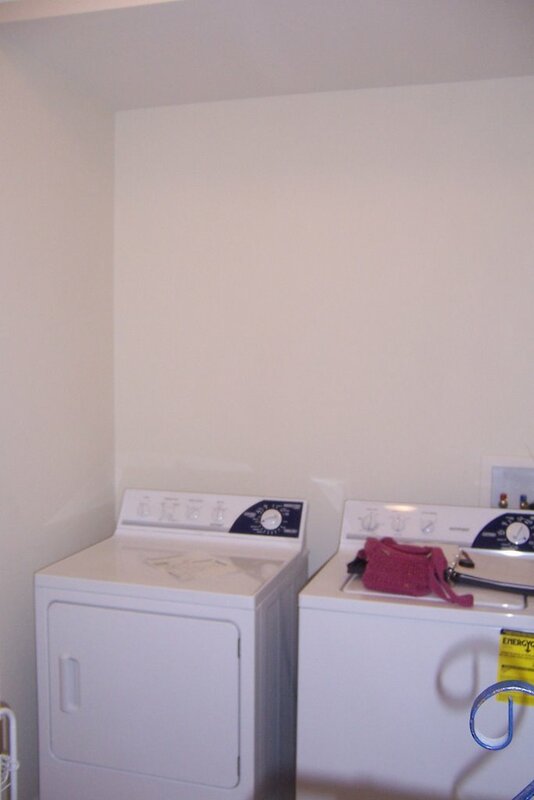 The laundry room had no shelves for storage only the washer and dryer. I came in and installed two long shelves and a set of corner shelves (not pictured). The room is much more useful now. This was a fun project! I was able to use a bit of my engineering side with the planning, and I was able to use power tools during the installation. 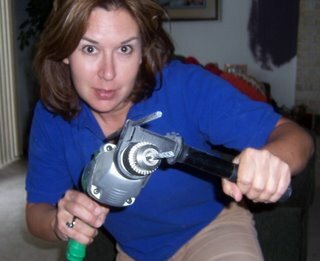 "Any day involving the use of power tools, is a great day!" What was your "fun" project this week?